Hey Queens, welcome back! Now that the turkey has been carved, the out-of-town guests have left and you’ve somewhat caught up on sleep, it’s time to continue shopping because today celebrate CYBER MONDAY! Rent Boy, He Has A Little Woman? 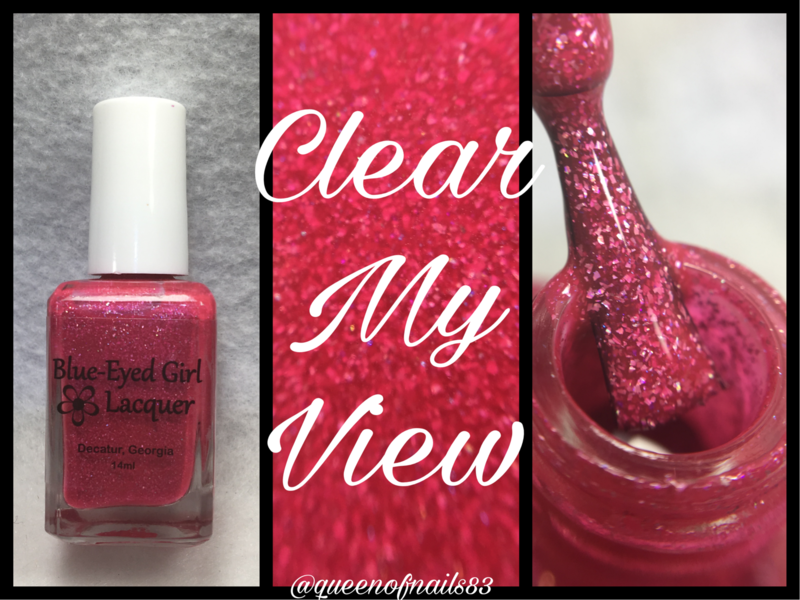 and Squall at St. George are possibly my favorite polishes from this brand today, Julie from Blue-Eyed Girl Lacquer (BEGL) is releasing the Room with a View Collection. This collection is based on fall foliage and its release will be a preorder starting at 12pm est and end on 12/2 at 11:59 pm est. There will also be a Cyber Monday sale on where you can save not 10, not 15, but 25% off of your entire order with the code CYBERMONDAY25. 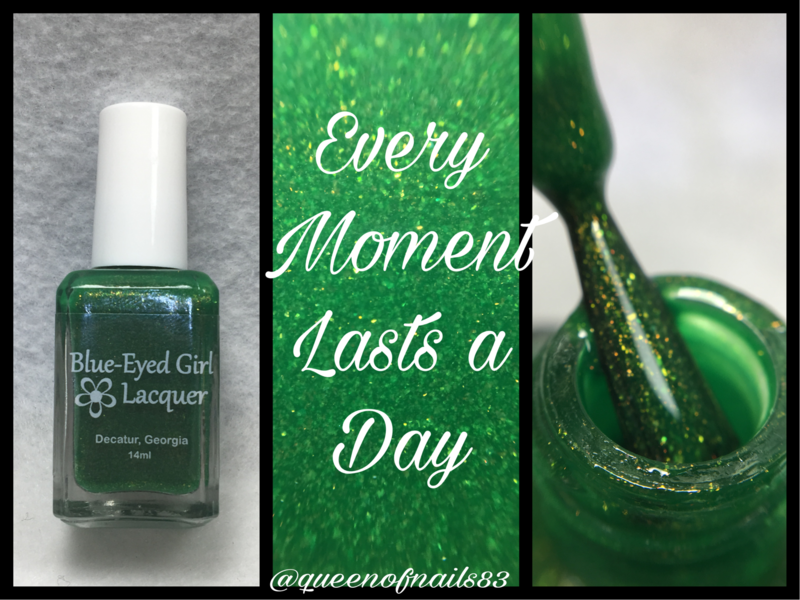 * AND….orders over $50 after the 25% off discount will receive a special edition free polish with their order. Let’s check out the view! Leaf green crelly packed with copper shimmer and gold microflakies. 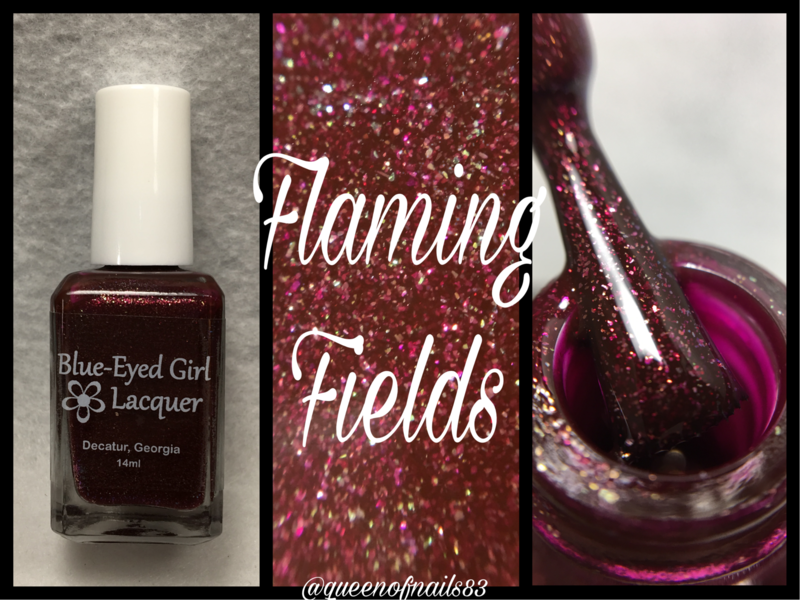 Application: ♥♥♥♥♥ 5 out of 5 – because of the great formula(s) on these polishes, the application was super easy to apply and work with. 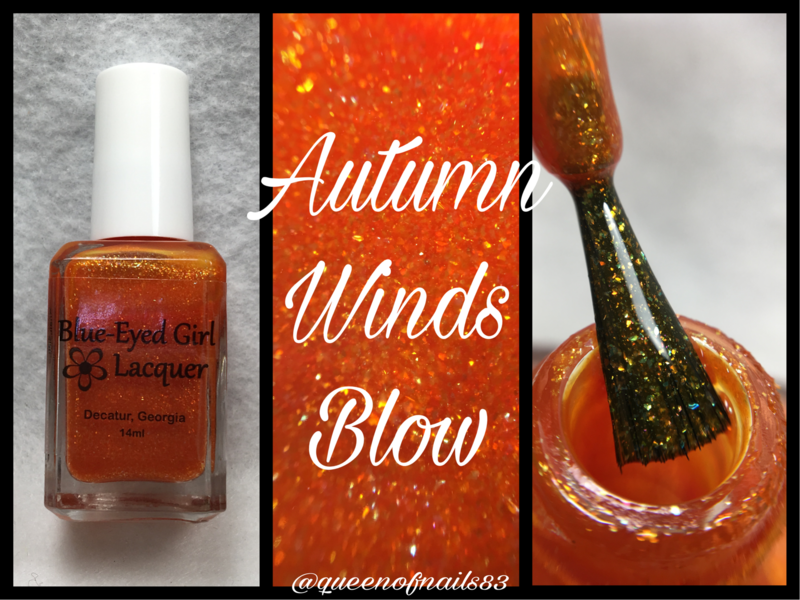 Opaqueness: ♥♥♥♥♥ 5 out of 5 – polishes are opaque in 2 coats. Just as a note, please remember, BEGLs are designed to be opaque in one to two coats, so they may need to be thinned to your desired consistency because these. Overall: ♥♥♥♥♥ 5 out of 5 – for reasons stated above. Again, the Room with a View Collection releases TODAY, Monday, Nov. 28th and polishes will priced as stated above or available as a set for $53 full size | $28 mini. There may be a small restock of a few sold out items (i.e. Squall at St. George) or oops items depending on the amounts of over-pours available. 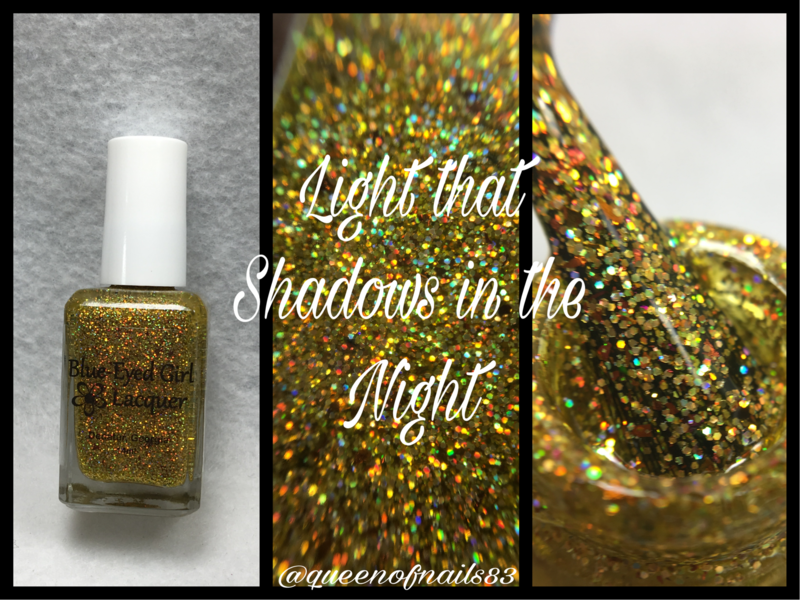 My personal fave of this collection is Light that Shadows in the Night. What do you think of this collection? Any faves amongst them? *Not available for use on charity items; codes/discounts do not stack; price is adjusted prior to the addition of shipping; no rainchecks; must use code to receive discount; does not apply retroactively to orders placed before the sale date and time. This is such a gorgeous collection! I love glass fleck polishes! Oh BeG always does this finish so right. Dang, this is a gorgeous collection! I love how bright Light that Shadows in the Night is! Beautiful collection! Love the gold on you! These are beautiful on you! I love this collection so much! GAH!! I thought I might be able to pass this collection. NOPE! This collection is so pretty! I love these shades for winter. This is a fantastic collection! I am so envious of how good you look in gold!